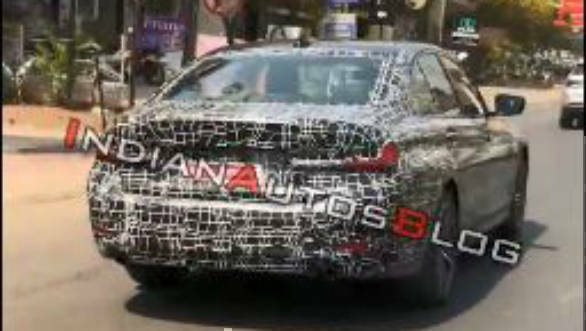 The next generation BMW 3-Series sedan has been spotted testing under camouflage in India. We expect this car to launch here by the middle of 2019, the car having been unveiled globally at the 2018 Paris Motor Show. The car has been reworked completely and is now larger and lighter than before. These spy images don't show much but we know that this 3-Series sees the newest interpretation of the firm's double-barrel lamps in the form of two L-shaped LED DRLs. The kidney grille is now much more upright and prominent but overall the car seems to follow a more evolutionary design brief. The basic silhouette doesn't seem to have changed a whole lot but specific design touches are more developed than the current car. This can be seen in the complex 3D taillamps, a more sculpted bumper and hood and the slightly upswept bootlid. This is a similar design strategy to what BMW has followed with the latest 5-Series and 7-Series as well but the interpretation here is sharper. The interiors too have received a complete overhaul. The circular, more organic theme of earlier BMW cars has been replaced with an angular design, like in the new 8-Series and X5. 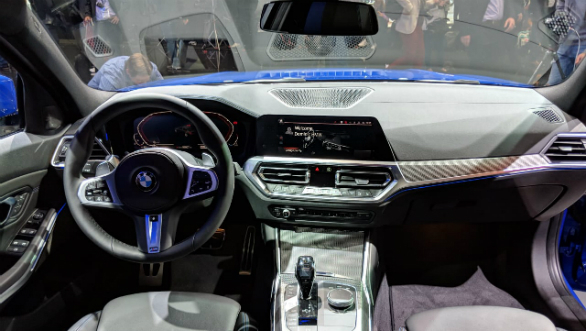 There is a new 12.3-inch all digital instrument cluster and the infotainment system now comes with a voice-assisted, AI-enabled system like Mercedes' MBUX interface. 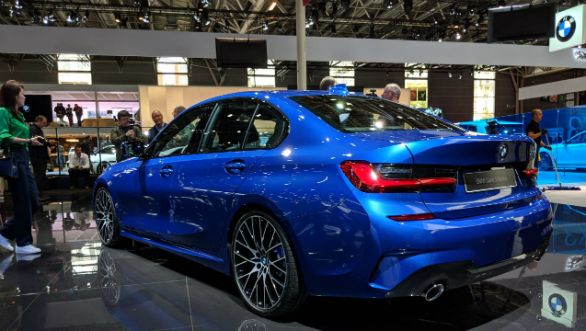 The 3-Series also moves to the CLAR architecture, sharing it with the 5-Series. This has led to up to a 55 kg weight reduction. The car is now larger both inside and out, the wheelbase has grown by 41 mm, and boot space has also grown by 36 litres. The full suite of safety and driver assistance software is available as is a GPS-enabled eight speed automatic gearbox. Adaptive suspension and xDrive AWD are optional extras. Of the five engine options available internationally, the 320d makes the most sense for India. now makes 190PS and 400 Nm from a 2.0-litre turbocharged diesel motor. This gets to 100 kmph from standstill in 6.8s. 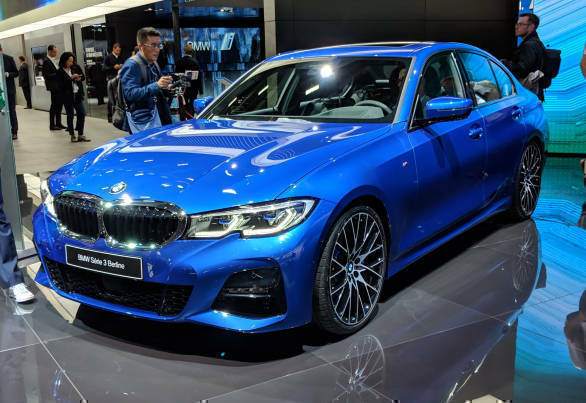 The other two viable engine options for us are the 320i which makes 184PS from a 2.0 litre four cylinder petrol and the 330i which puts out 259PS and 400Nm again from the same basic motor.